O2 have fixed the web browsing number leaks problem finally! O2 are going to get a hammering over this and rightly so. The situation appears to be that if you have been browsing on your mobile phone using an o2 data connection in the last 15 or so days, you will have been unwittingly sending your mobile phone number to that websites database in the HTTP requests which usually contain pretty useless info about who you are in terms of location and IP address etc. This is absolutely great news if you like your mobile phone being shared with every site you visit, but is astonishingly bad news if you visit sites that could have questionable methods of making money (rather a lot) or where the owners of sites could perhaps be easily persuaded to channel a few of those numbers to unscrupulous marketing firms for a little extra dosh. Think injury lawyers, or worse still spammers who make you pay £’s every time you reply to texts to stop them sending the damn f***ers. Yes I think it IS that bad. Any site you visited will be able to sell your number knowing its working and live and on o2. Thanks a lot you set of halfwits. Now when you ask me those security questions in order for me to remove my ridiculously high insurance that would never pay out in most circumstances anyway, why dont you just forget that part and simply tell me/them who I am and where I live and ask me “have I had an accident in the last few years”. o2 you have right royally pissed me off….again. Q: How do I know this won’t happen again? A: We take the security of our customers’ data extremely seriously. This was a one-off incident, which has now been fixed. We have fixed the problem and we are putting in additional measures to prevent a re-occurrence. 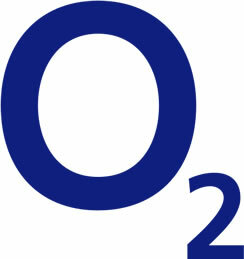 Q: I want to leave O2 with immediate effect because you have breached T&Cs / shared my data without my consent. Can I? A. In this instance, and as acknowledged by the Information Commissioner, there has been no immediate breach of the Data Protection Act. This was a technical error that has now been rectified. In light of this, customers’ contracts remain valid and O2 shall continue to provide you a service in accordance with your terms and conditions. Q: Can I opt out of O2 sharing my mobile number with these partners? A. It is not possible to opt out of our age verification process, which exists for child protection purposes. You can choose not to visit our trusted partners whose sites offer you ringtones, wallpapers and content direct to your phone. These sites require your mobile phone number in order to complete the purchase and charge it to your mobile bill. Q. Who are your trusted partners? Our trusted partners are those sites that require a mobile number when you visit them in order to offer you ringtones, wallpapers and content direct to your phone. We carefully vet these sites, and only work with them under contractual obligation, to ensure your mobile phone number is only used to bill you. We share mobile numbers with two age verification partners, for child protection purposes. For those customers that have not verified with us that they are over 18, we share your number with Bango.net and Eckoh.com who then verify your age before you are able to access sites with over 18 content. Your number is not shared further than these two partners and is only used for this purpose. Q: Who can I complain to? A: Please contact O2 through our normal channels, details of which can be found here. Q: How are you compensating customers? A. As part of our usual business practice, we consider compensation claims where you can demonstrate material loss. Customers wishing to speak to us should do so through our normal channels, details of which can be found here. What other question would you like answering, do let us know?